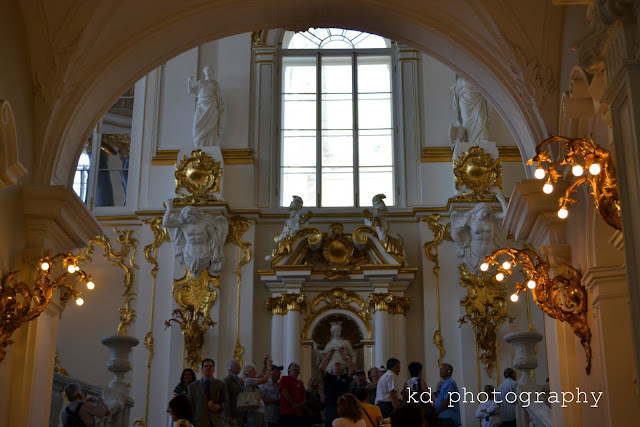 The collection of art here is amazing and for history and art lovers, this is a gold mine. It was packed when we visited. There are some galleries in the Hermitage that are air conditioned and some are not. As it was summer, apart from the hot and humid weather add to that the crowded galleries so it felt suffocating. I've seen a couple of people who fainted and one has to be carried to a van. The name of this room escapes me but I was sure glad there was room to breathe. 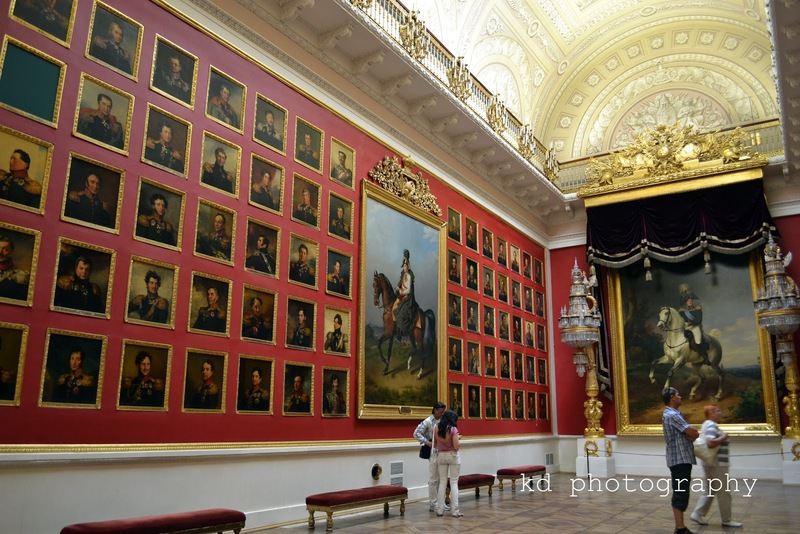 The War Gallery of 1812 - a commemoration of Russia's victory over Napoleonic France. 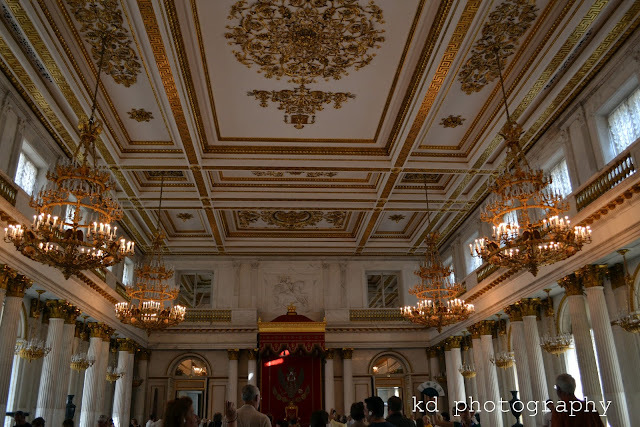 The Golden-Drawing Room - this is my favorite gallery. 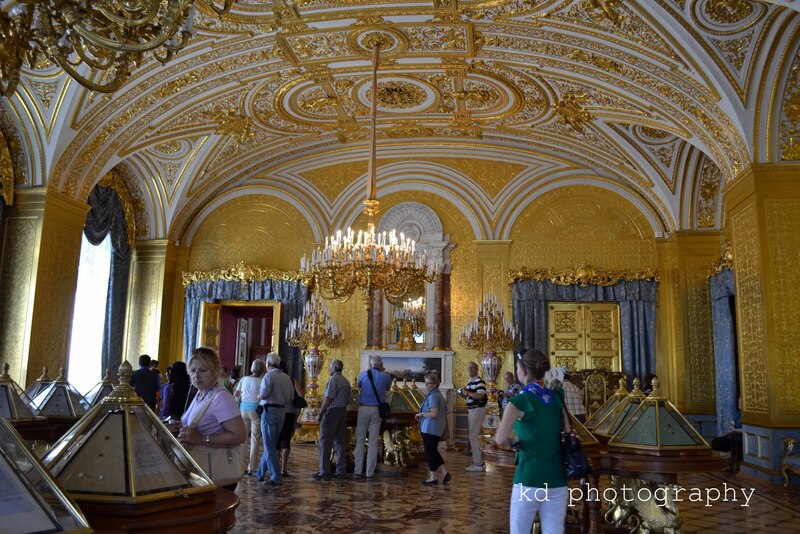 Another view of the Golden-Drawing Room. The lady in green shirt was our tour guide. My blurry shot of the Raphael Loggias. 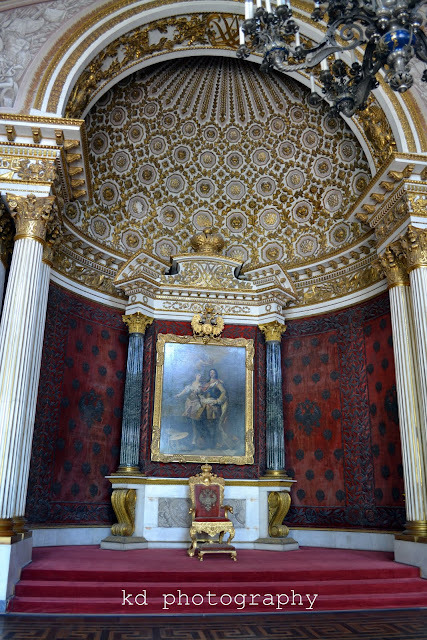 According to my guide book, Catherine the Great commissioned copies of the famous frescoes by Raphael at the Vatican Palace. 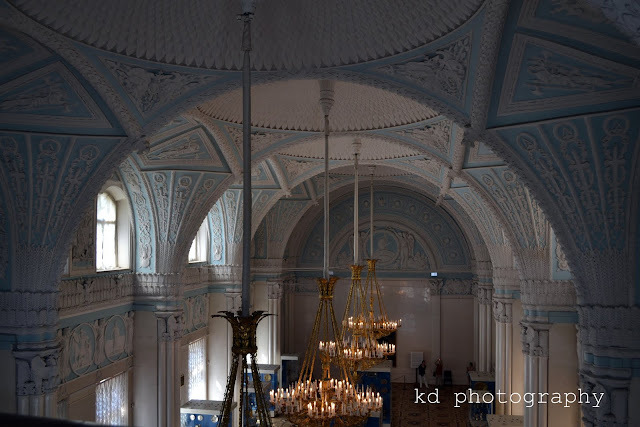 The Hall of Peter the Great and The Silver Throne of Empress Anna Loannovna. St. George Hall was used for official ceremonies and receptions. The Alexander Room - built to memorialize Alexander I. 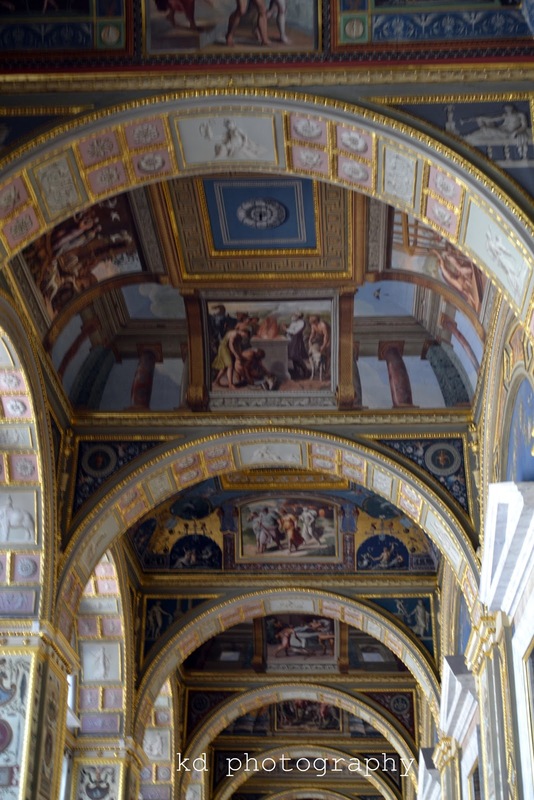 What I've seen during my visit was just a minute sample of the Hermitage's collection. This place is massive and according to our guide, you would have to walk 24 miles to see all the exhibits. I was exhausted after this visit. 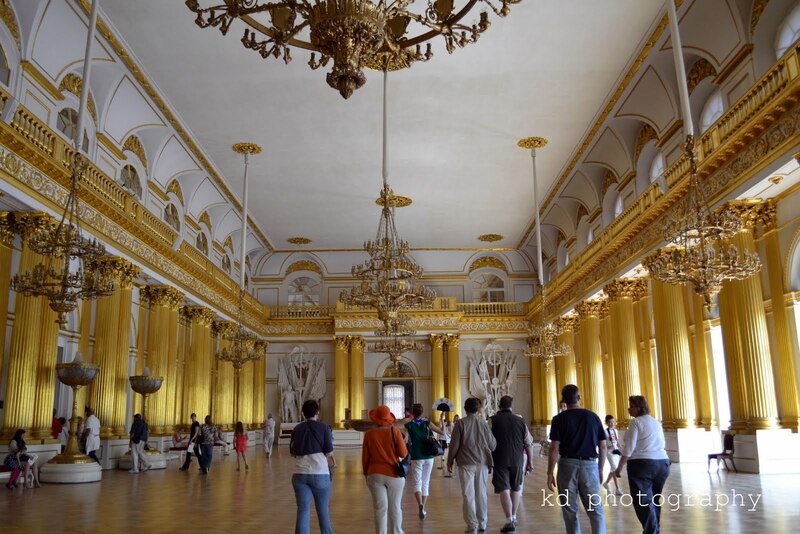 I'd love to do the Hermitage again possibly in the winter with less crowd and less tourists. ...and my jaw dropped. What an amazing place! You're lucky that you were able to visit it. omg, what opulence. does the gov't maintain this or this is privately owned? that large room is my fave, i can breathe there. @ Marites, It was a dream come true to visit St. Petersburg and see all these wonders. 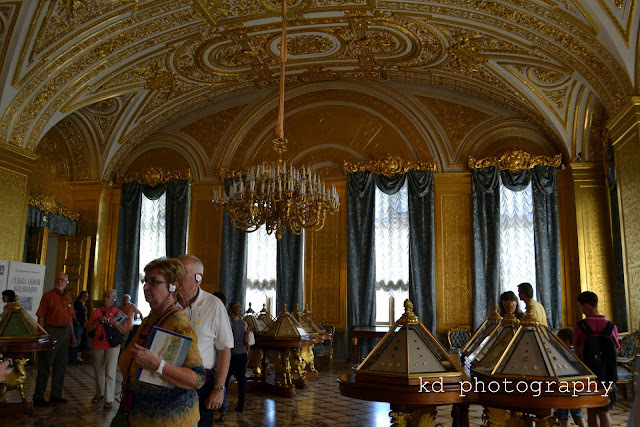 @ Photo Cache, The Hermitage is state owned. You are so lucky to have gone there! What solitude you can find with all that nice background. Wonderful. Happy to see it. We did not have the chance while there having only one day. Winters would be a good time to visit well that is if you can survive the brutal Russian icy weather. 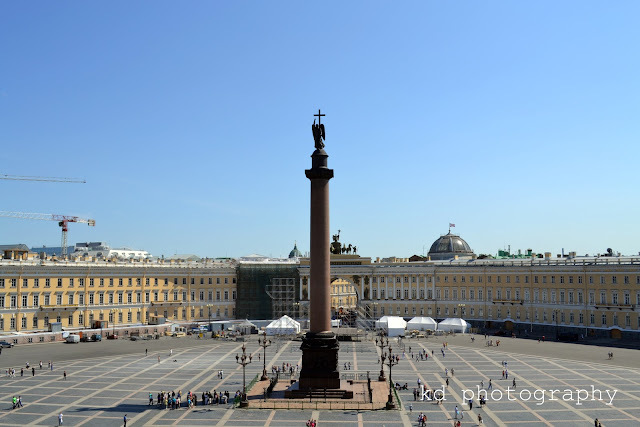 from the Palace Square photo, the places looks huge. siguro nakakapagod ikutin, no? I wish I can pay a visit here someday. All images are so wow. wow! that's a lot of gold! it's just so amazing how they made such beautiful and intricate designs and interiors, no? the square was empty (at least almost) lucky you, you get to enjoy it..